Home » Bollywood News » Post breakup with Alia Bhatt, Sidharth Malhotra revealed whom he is dating in between Jacqueline Fernandez or Kiara Advani! Post breakup with Alia Bhatt, Sidharth Malhotra revealed whom he is dating in between Jacqueline Fernandez or Kiara Advani! In the current time, Ranbir Kapoor and Alia Bhatt are one of the cutest couples of Bollywood. But Before Ranbir Kapoor, Alia Bhatt was in the discussions for dating her SOTY co-actor Sidharth Malhotra. 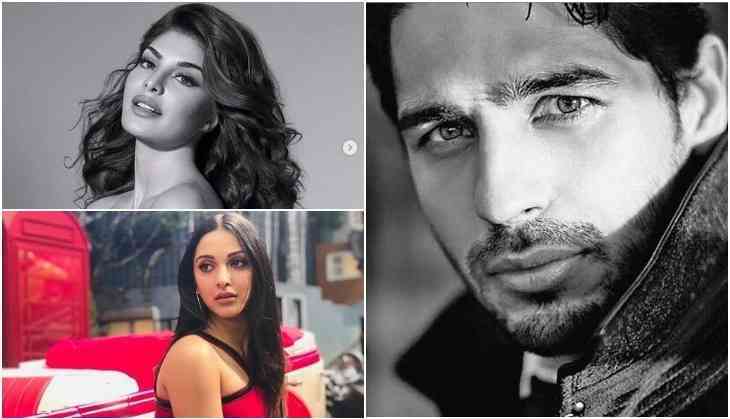 However, post-breakup with Alia Bhatt, Sidharth Malhotra was also being linked up with his two co-stars, Jacqueline Fernandez and Kiara Advani. On the professional front, Sidharth is busy in the shooting of his next film Marjaavaan starring alongside Riteish Deshmukh, Rakul Preet Singh, and Tara Sutaria. He is also going to be seen with Parineeti Chopra in Ekta Kapoor's film Jabariya Jodi. While after that he will start the shooting of his next film biopic on Major Vikram Batra. Also Read - Luka Chuppi actor Kartik Aaryan wants this actor to play 'Titu' if he plays 'Sonu' again!